More than 3 million people in the UK are known to have diabetes and there are an estimated 850,000 people in the UK who have diabetes but do not know it. Over three-quarters of people with diabetes have type 2 diabetes. There has never been a more critical time to ensure the healthcare workforce are skilled to deal with this growing epidemic. What if you could play a pivotal role in providing diabetes care that makes a real difference to patients and helps to tackle the rising costs in the NHS? At Warwick Medical School we want to celebrate this 70th year of the NHS. The NHS has had a significant impact on health in the UK and we would like to make our own contribution towards tackling one of the biggest challenges we currently face – diabetes. So for this academic year we would like to offer all NHS employees a 25% bursary to undertake our Certificate in Diabetes Care (CIDC). Find out more. We are also offering a 20% bursary for students wishing to study the full time Diabetes MSc. To find out more please contact the postgraduate education team. 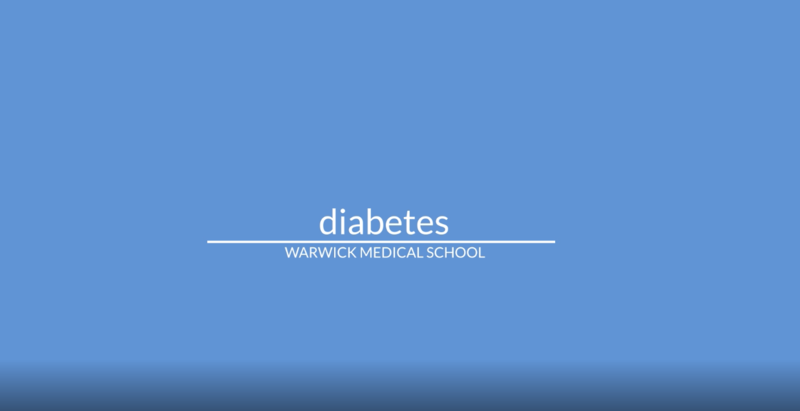 Watch Professor Vinod Patel give a mini lecture from the Diabetes Management in Practice course. Listen to Professor Roger Gadsby MBE discussing management of diabetes in older people in this webinar. Find out more about what it's like studying at Warwick in this video and in this interview with MSc student Abdul.